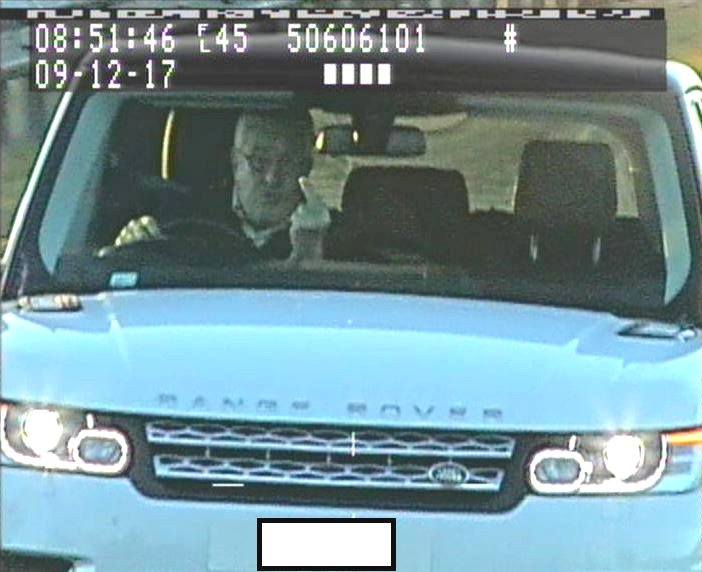 A company director has been jailed after fitting a ‘laser jammer’ to his car and driving past speed cameras and swearing at them. Timothy Hill fitted the contraption – which stops mobile cameras from picking up his speed – to his car and stuck up a middle finger as he sped past cameras. The 67-year-old had fitted the jammer to his flashy white Range Rover with a private licence plate so he wouldn’t be caught for speeding – but has now been jailed for eight months. 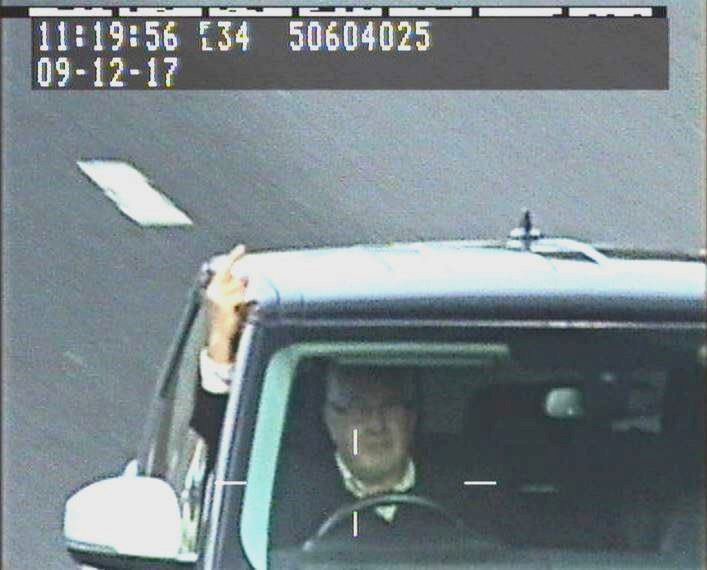 Yesterday (April 23) Teeside Crown Court heard how Hill was caught on camera casually ‘flipping the bird’ to cameras on three separate occasions along the A19 in December last year, as you do. But when Hill found out he was being investigated he threw the jammer into a river and told officers it couldn’t have been him because he was ’60 miles away’. Traffic police were unable to determine his speed but charged him with perverting the course of justice. Hill, of Grassington, North Yorks., pleaded guilty to perverting the course of justice. It’s also an excellent way to end up in prison. Hill’s case shows, perverting the course of justice is a very serious charge which carries a custodial sentence. It’s our job to keep road users safe across all 6,000 miles of North Yorkshire’s roads. Mobile safety camera vans are an important tool to do that – they are proven to reduce collisions and they help save lives. Drivers who fit laser jammers may mistakenly feel smug about ‘getting one over’ on the police. But we can tell if motorists are using these devices, and we will always endeavour to bring them to justice. Another driver trying to get one up on the law last month was shamed on Twitter after he’d presented police with a fake driver’s licence, belonging to a certain Mr Homer Simpson. Thames Valley Police pulled over the guy who should be given an award for World’s Worst Fake ID’, coming in ahead of McLovin, but only because that was in a film and didn’t actually happen. After pulling over a motorist in Milton Keynes, Buckinghamshire, police were presented with a driver’s licence in the name of Homer Simpson, with a picture to match. Unfortunately not only was the ID fake, but the person they pulled over was most certainly not the Homer Simpson, because, well, he’s not a 2D yellow cartoon character. The ID stated the driver’s address as ’28 Springfield Way, USA’ and any self-respecting Simpsons fan knows he lives at 742 Evergreen Terrace, so that was rookie as well to be honest with you. To make matters worse Thames Valley Police also confirmed the driver ‘had no insurance and therefore [the] car [was] seized’. Of course, Twitter was quick to roast the guy and his fake ID, many of whom just wrote ‘D’oh’. If you have a story to tell us, email UNILAD at [email protected]!